ECARYS GmbH is a division of the German aircraft manufacturer, Stemme AG – a certified aircraft design and manufacturing company with all associated approvals, based near Berlin. 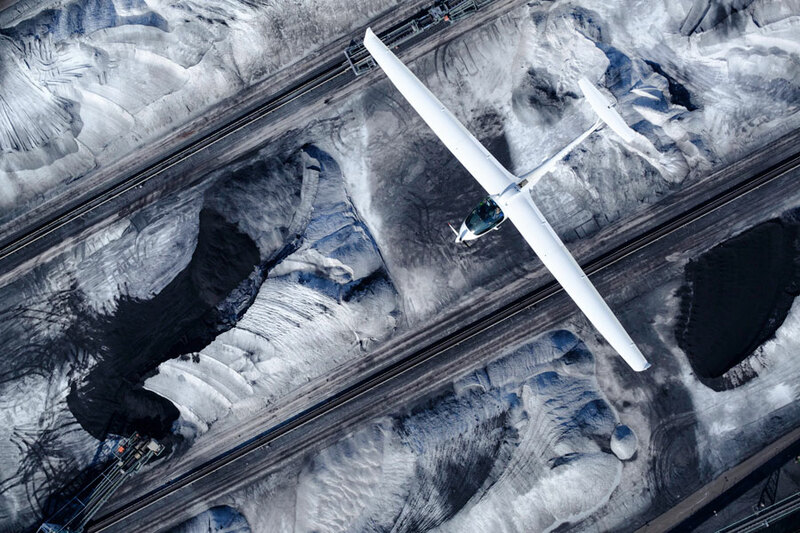 Founded in 1984 Stemme is well known for its high-performance aircraft. As an established aviation technology leader, Stemme AG is focused on high-quality and top-efficient aircraft with core expertise in design, development, and manufacturing. ECARYS, as a department of Stemme AG, is dedicated to serve customers looking for airborne surveillance, reconnaissance and research missions with the most efficient airborne platform. It has been proven in the field since 2012 and has proven itself as an efficient and robust platform for airborne surveillance, commercial and scientific, and reconnaissance missions. The company welcomes co-operation with commercial partners, scientific establishments and governments to develop the platform according to their needs – the ES15 is highly adaptable as shown by our partnership with SAFRAN Electronics and Defence and the Patroller aircraft – a combined unmanned and manned configured aircraft. Based on the certified aircraft model, the ES15 comes with all the advantages that such a production delivers. When ECARYS designed the concept, modules were taken from proven platforms and its engineers set about how to create payload and space to provide a flexible aircraft that delivers. The design is based on a 59 ft. (18 m) wingspan and a retractable tricycle undercarriage, which is stable to crosswinds (up to 16 knots) and has a wide wheelbase. The fuselage is divided into three sections, starting with the hybrid composite cockpit module, comprising the propeller and cockpit area. An array of avionics solutions are available. Second is the mid-fuselage comprising a centre steel frame compartment for the Rotax 914F turbo charged engine. The mid-section comprises the cantilever wing with flaps across the entire wingspan. This provides incredible take-off and landing performance which – when combined with the speed brakes – enables the ES15 to land on airstrips inaccessible to many other aircraft. The tail boom section completes this special platform. Throughout each module the ECARYS engineering team can adapt and modify according to the customers’ requirements – with pods and airframe modifications, to integrate optical, radar or other intelligent sensor systems. The ES15 is designed for external payloads up to 770 lbs above centre fuselage, and four points under wings (2 left and 2 right). THE ES15 climbs to 7000ft within 12 minutes. With 115hp in the turbo charged Rotax engine, the performance will meet most mission objectives. Just as important as its maximum speed is its slow speed flight characteristics – at 50kts it can perform 30-degree bank turns. With full payload, operating speeds are as high as 130kts and max speed is 148kts giving ample speed to keep on top of a moving situation. An operating ceiling is certified to 16,000ft. Already at an altitude of 1,000ft the ES15 is nearly inaudible at ground level. Depending on the configuration the ES15 can achieve between 10 and 20hrs endurance. Due to composite structure and low cross section the aircraft has also near stealth capabilities. Burning just 15 litres of fuel per hour means that it is an efficient and environmentally conscious platform. However, the ES15 offers a range of up to 1350nm with long-range tank. The operational costs are less than US$300 per hour. Safran is one of the world’s largest military defence companies, based in France. They have been operating drones for 25 years and for nine years in the Afghanistan arena. The evaluation of the ES15 as a platform for the new Safran Patroller™ was a process that was filled with detail and analysis – as well as competition from other companies. The decision to choose the ES15 by Sagem was based on nine years of operations of their Sperwer tactical UAV that has logged some 2500 missions. ECARYS and Safran are building the Patroller as a partnership and, as well as being able to operate as a UAV, it will also have the option to be manned and piloted from the left seat. ECARYS has demonstrated its engineering and management of large projects to keep this project on track – helping to deliver solutions from military customers that demand flexibility. ECARYS’ experience at delivering to major defence organisations has created a culture within the company that is able to evaluate and respond to wide ranging requests accurately and on time. Surveillance has become an important and integral part of national security and defence– whether that means patrolling borders or tracking and monitoring illegal activity. For surveillance purposes, the ES15 is able to carry various types of electric-optical (EO) gimbals systems, or infrared (IR) and other sensors in under-wing pods, and/or on the fuselage. The airborne platform can be equipped with real-time communication links, as well as antennas and additional external fuel tanks for extended air operation up to 20 hours. The ES15 platform is capable of optical surveillance for monitoring, spotting and scanning applications. Those can be used for border controls via IR equipment, for visible and non-visible infrastructure monitoring (detecting malfunctions and inspections) by IR and Corona cameras, and for environmental protection (volcano activity, maritime pollution, farming/fishing industry monitoring, wildlife detection/protection). When it comes to reconnaissance, Signal Intelligence Technology (SIGINT) applications demand the capability of transmitting survey data via links to ground staff. 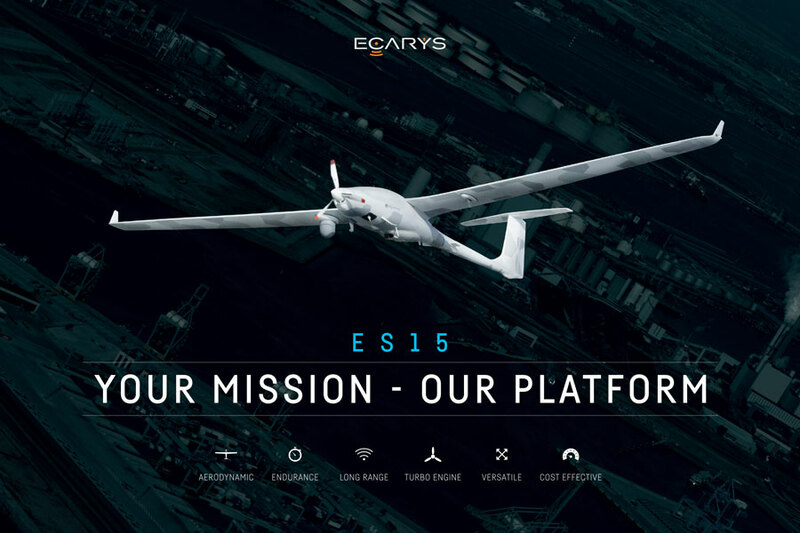 The ES15 airborne platform meets these strict requirements for SIGNIT, and the modular construction is well suited to reconnaissance sensor technology. The aircraft platform can be adapted for long-range transmission of high-resolution images and/or acoustic data, making them available for online exploitation. Area mapping tasks can be done by airborne laser scanning or by antennas for a rapid, highly accurate and efficient method of capturing 3D data of large areas and urban zones. Furthermore, the ES15 is suitable for scientific research missions, managed by the synthetic aperture radar technology for accurate atmospheric research and magnetic measurements. These missions are facilitated by the ES15 composite structure and its ability to stay airborne for hours in a stable flight.